CBus is a proprietary communications protocol for home and building automation that can handle cable lengths up to 1000 metres using Cat.5 cable. It was created by the ‘Clipsal Integrated Systems’ division for use with its brand of home automation and building lighting control system. 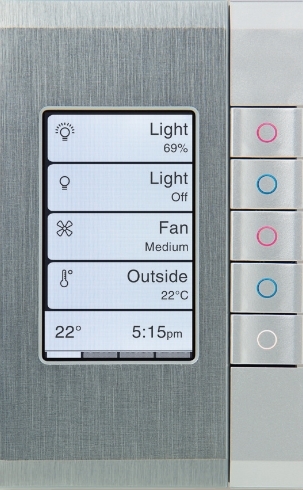 It can be used in the control of home automation systems, as well as commercial building lighting control systems. Unlike the more common X10 protocol which uses a signal imposed upon the AC power line, CBus uses a dedicated low-voltage cable or two-way wireless network to carry command and control signals. This improves the reliability of command transmission and makes CBus far more suitable for large, commercial applications. Azro are certified and authorised C-Bus dealers. Our engineers provide the full service including; consultation, design, supply, installation, testing, troubleshooting, repair, training and support.